Buy a painting NOW of the California West Coast Tour! The Iguarnieri Masters will make a series of 20 paintings from the California Painting Tour that can be reserved from now until the end of 2018. Do not miss your opportunity to be one of the Collectors of these unique artworks. The special price for a small painting is €300 and €1000 for a medium size painting. 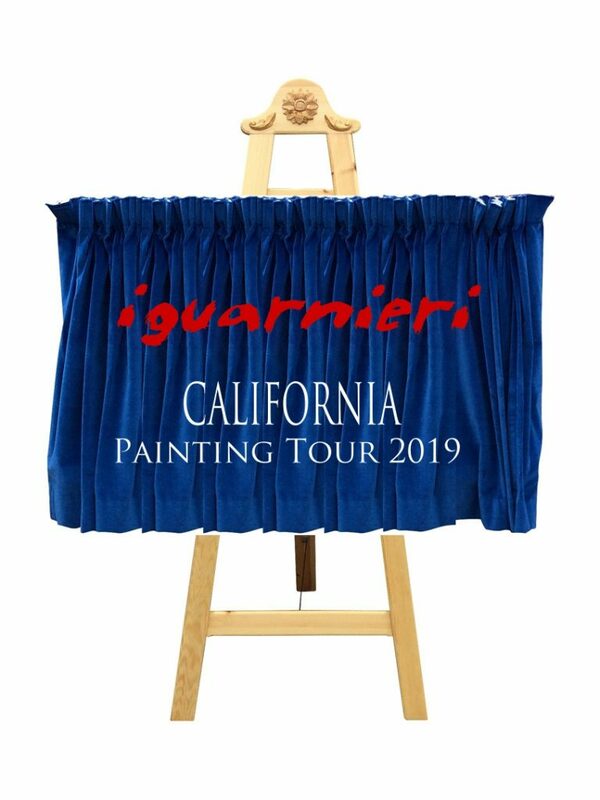 Book now and be one of the 20 “Patrons” of the “California’s Historic Mission” in Florentine contemporary fresco painting.